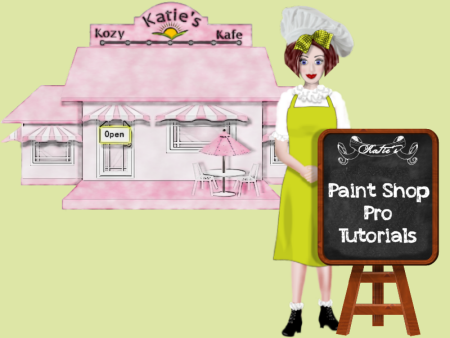 You will need a copy of Paint Shop Pro. I'm using vX but you should be able to adapt this tut to any release. 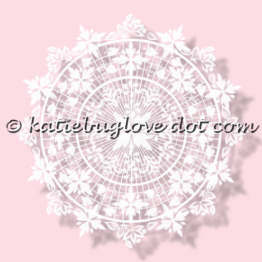 The purpose of this tut is demonstrate how to make a lace doily. 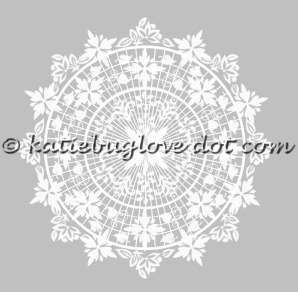 Of course you can take any pattern and use your Kaleidoscope tool found under "Reflections" but it's hard to get that authentic lace look, and it's not as much fun as doing it this way! Select Object>Align>Center in canvas. 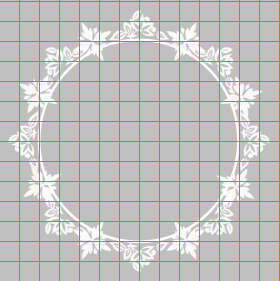 Right-click on this layer in your Layers palette and left-click on Convert to Raster Layer. Choose your paintbrush tool and then choose a brush tip. Adjust the size accordingly to fit your pattern. Depending on the angle of your brush, adjust the rotation angle on your Brush toolbar as necessary and begin laying out your brushes on the outer circle. Hint: I duplicated the very top one and then chose the Flip tool and merged those two. Then I duplicated that layer, rotated 90 and then merged those two, duplicated, rotated 45 then merged those two. Hide all layers but the brushes you just added and Merge Visible. Choose your next brush tip and continue to fill in the outer ring. Hide the circle and background in your Layers palette so that only the brush tips are showing. Merge Visible layers and then view all layers. Draw out another circle in the center and repeat the steps following the steps of the first circle. Now start filling in between the two circles with more brush tips. When you are done, hide all layers but this and Merge visible. View all layers. 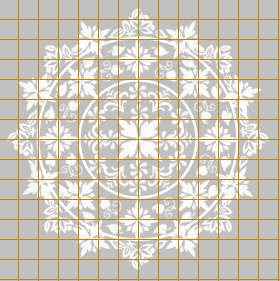 Then fill in the center with brushes, hide all but this layer and Merge visible. View all layers again. You should have something like this. Hide all layers except your background and the outer circle. 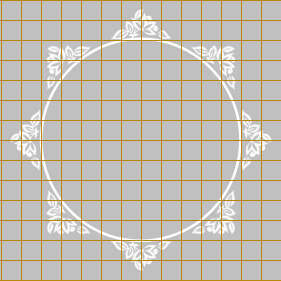 Using your pen tool, set to Draw Lines and Polylines, and the line width to 2, make a straight line from top to bottom. Use grid, guides, etc., to get your line straight. Don't let your line go outside of the large outer circle. Hint: I duplicated the first line, rotated 90, and merged those two layers, duplicated, rotated 45, merged those two layers, duplicated, rotated 22.5, merged those two layers, duplicated, rotated 11.25, merged those two layers, duplicated, rotated 5.62 and merged those two layers. Hide all but your lines and Merge Visible. The lines will blur so you'll need to sharpen every once in a while. Add a new layer and hide all but this one and the background. Now make some concentric circles. Duplicate your first circle and resize to 90%. Repeat these steps, duplicating and decreasing by 10% until you are down to 20%. 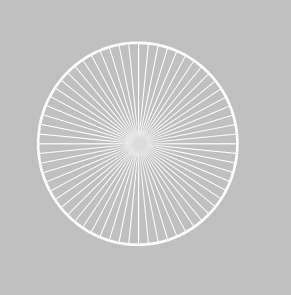 The circles tend to fade so hide all layers but your concentric circles, Merge Visible and then duplicate this layer. 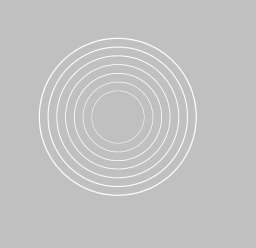 Then merge the two layers of concentric circles. View all. Arrange your layers accordingly from top to bottom on your Layers palette: Outer circle, outer ring of brushes, middle ring of brushes, inner circle, inner ring of brushes, lines layer and finally the concentric circles. Now hide your background layer and Merge all Visible layers. Now tube it and you're done!